So you have just installed a new pallet racking design in your warehouse and are enjoying the convenience of your new system, however, after a number of months and many knocks by your forklift operators, you want to ensure that your system has not experienced structural damage. Even though pallet racking systems appear to be very durable, over time the system will experience aging. Does your businesses warehouse pallet racking system comply with Australian Standard 4084 2012? Any of the racking that you have installed in your workplace needs to be designed specially for the products that you are storing in order to adhere to the WH&S & Australian Standards 4084. This standard outlines the minimum design, fabrication and erection tolerances, test methods, operation and maintenance of steel storage racking. 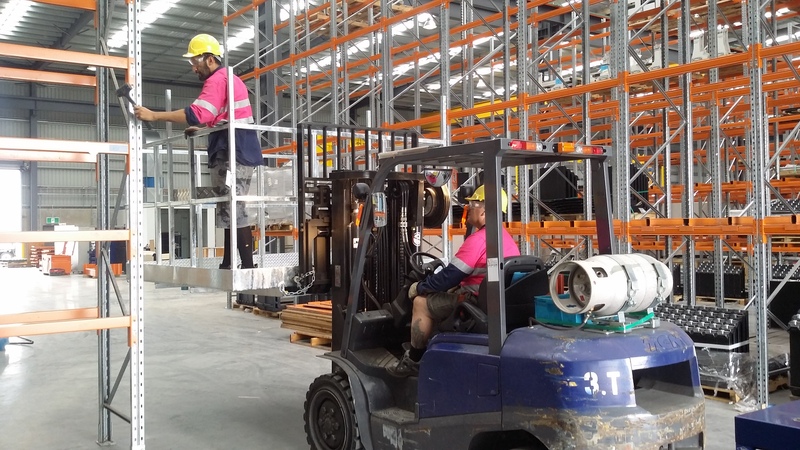 This applies to most types of pallet racking systems in South East Queensland, including racking that is installed outside of the building. 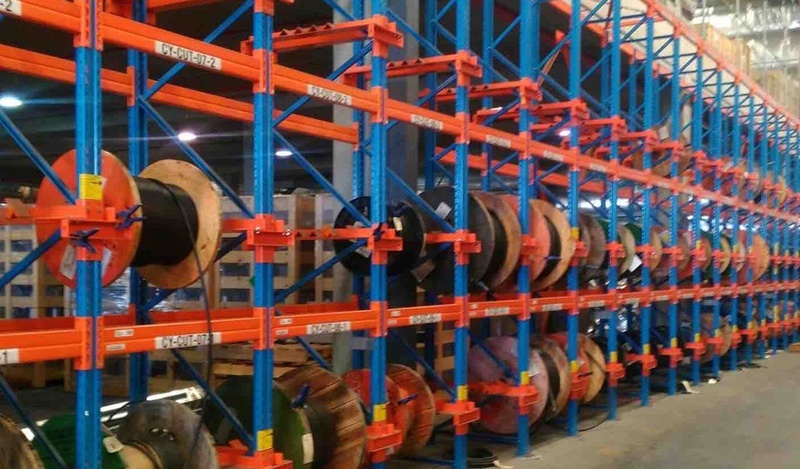 It’s essential that you are getting your Pallet Racking system inspected every 12 months, no matter how big or small the system is in order to be meeting these strict pallet racking safety standards. Pallet racking safety audits are an essential part of ensuring your staff are working in a safe environment. Workplace health and safety can come and visit your warehouse at any time and if they find problems with your racking system, including damage to the bolts and uneven warehouse flooring, you will only have a few weeks to fix the damage before you will need to close your operations. Ensure you are provided with a racking inspection report and your racking safety manual. Ensure you keep this in a safe and easy to find location. Ensure your staff have been trained to use the equipment onsite and you have appropriate documentation. Ensure your staff know the load capacity for each racking system that’s been installed. Ensure there is a process in place to records and report racking damage and repairs. 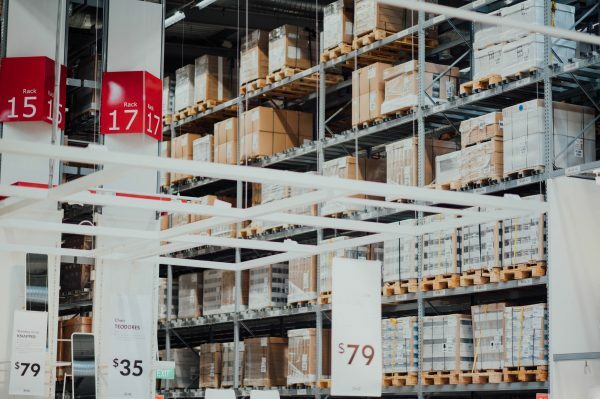 At PRQ our team of licensed WH&S professionals specialise in providing a full service pallet racking safety inspection, working with businesses big and small from Brisbane to the Gold Coast and beyond. PRQ have designed our safety inspection process with the most comprehensive workplace health and safety recommendations in mind, to ensure your system is in total compliance with the Australian standard. During the inspection process, we will consider a range of questions relating to each part of your pallet racking system. We will inspect the beams of your Pallet racking system extremely closely to ensure there is no overloading of the racking. We always take the time to ensure beam connections are completely parallel, rather than relying solely on the manufacturer’s recommendations. We will also ensure that there are no welds or beams that have been knocked with a forklift or other warehouse equipment. It is essential to identify any damage and closely inspect to ensure there are no cracks in the welding and there is only very minor damage. We check to ensure each beam has the appropriate connectors and safety clips. If these clips appear to be dislodged or pushed outwards, we will replace these after a consultation with the manufacturers. We inspect each anchor bolt to ensure the racking is secured on the ground and can take the time to tighten these bolts when necessary. Finally, we ensure the load capacity of the beams are displayed in a clear way that is easily accessible for all of your employees. Braces: We ensure that any racking braces that are bent are immediately replaced and each brace is inspected to ensure there are no deviations more than 1cm. Floor Fixings: We always check to ensure any pallet floor fixings aren’t damaged and have been properly installed. If these are damaged we are able to quickly replace two anchors and floor plates in each system. Out of Plumb: We always ensure that the racking system that has been installed is completely vertical. It can be common when these systems haven’t been installed properly or as a result of overloading or settling in the floor slab. It’s essential that these issues are rectified immediately, and PRQ can provide follow up inspections to ensure the new install has been done correctly. Along with ensuring the safety of your staff members and business stock, a racking inspection will also give you insight into the pallet racking systems in place and what types of damage to keep an eye out for in the day to day. 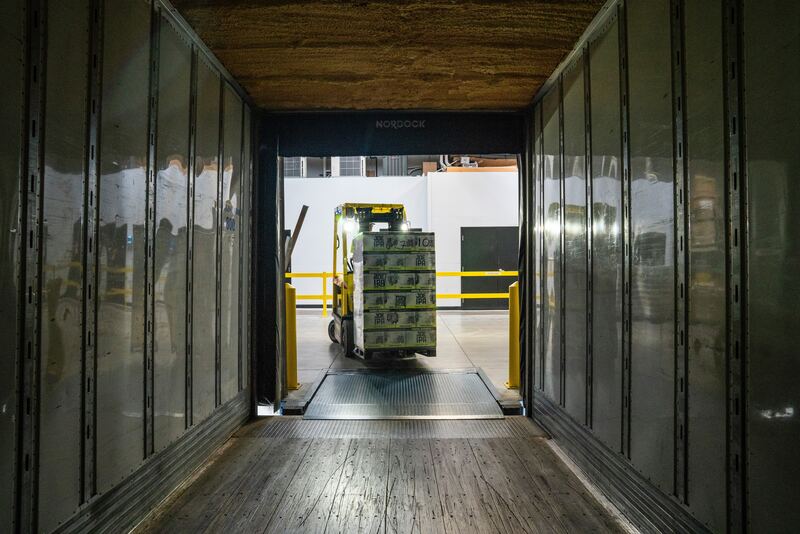 When it comes to deciding who is the best company to inspect your pallet racking system, many businesses choose to go with the manufacturer of the system. Often these manufacturers will offer an easy signup process after your racking system is installed, however, choosing an independent supplier like PRQ is going to offer the most impartial opinion of the potential safety hazards and damage to the racking system.